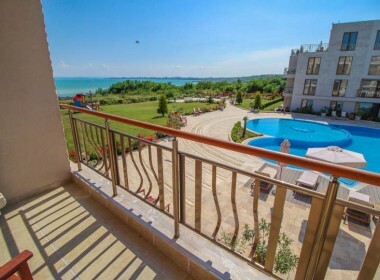 the Bay of Burgas to the east and southeast and overlooking the Atanasovsko lake in the northeast. 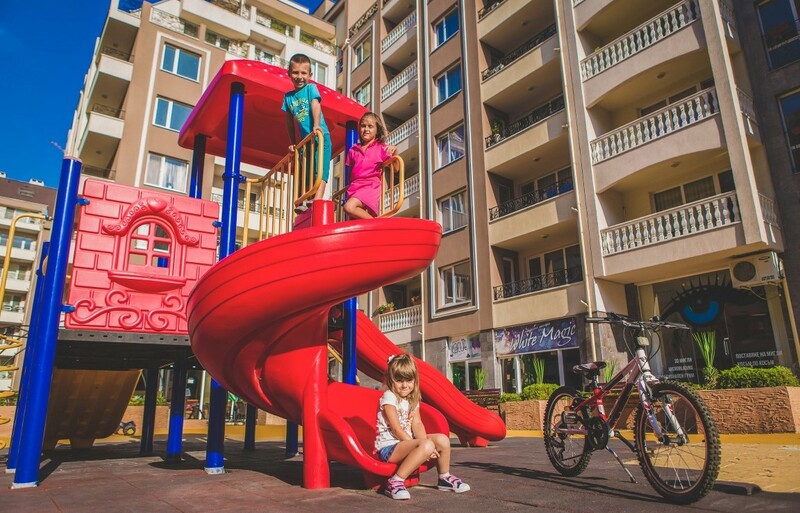 It is close to the main thoroughfares of the city, while at the same time it is inside the quarter and the transport communication is on the inner streets, allowing the development to be isolated from the noise and the hectic traffic. 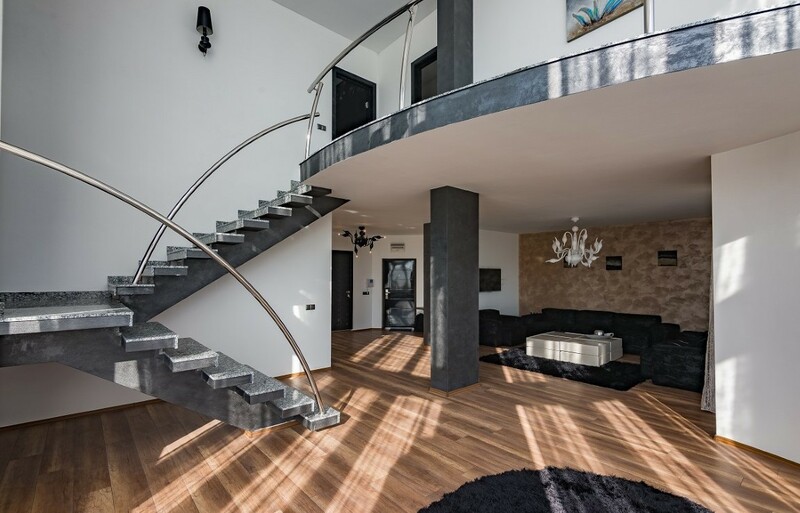 The development is designed to meet the needs of its owners and offers all the necessary public services such as indoor underground parking, coffee bar, shops, hairdresser, Gym, 24-hour security, video surveillance and controlled access. 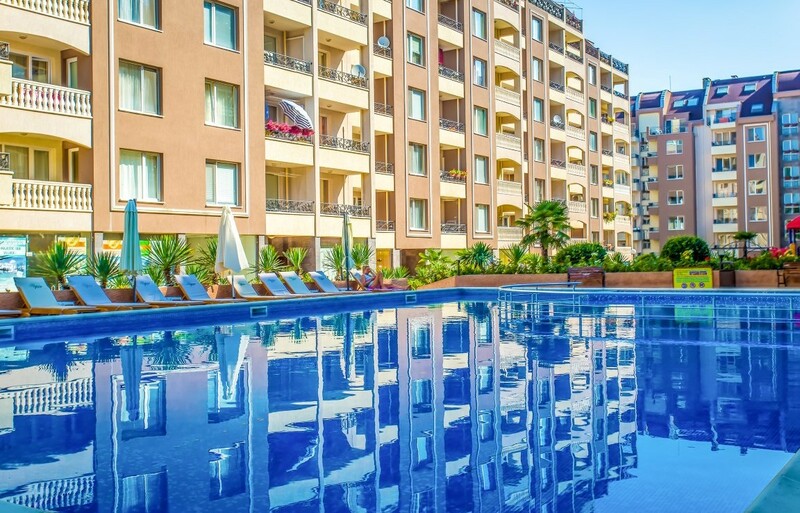 The residents of the complex also have a private outdoor pool for adults and children with an area of 200 sq. 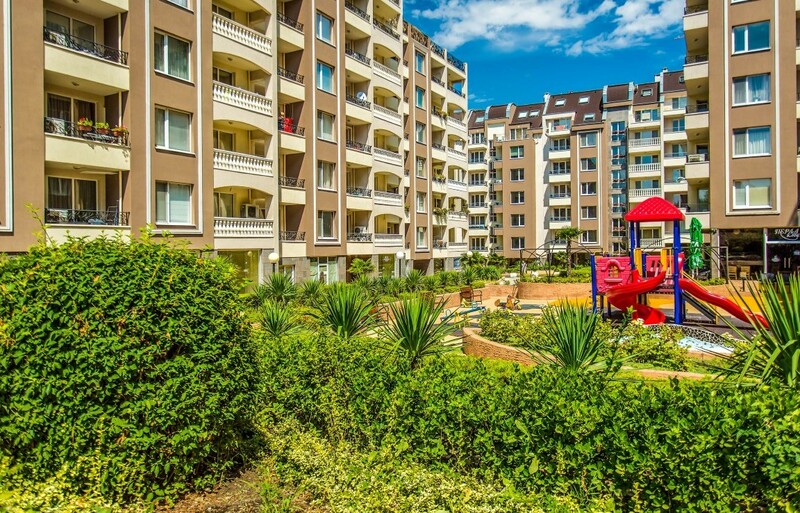 m. Part of the infrastructure is a children’s playground for care-free games of your kids, benches of pleasantly lined alleys – the ideal place to live happily. 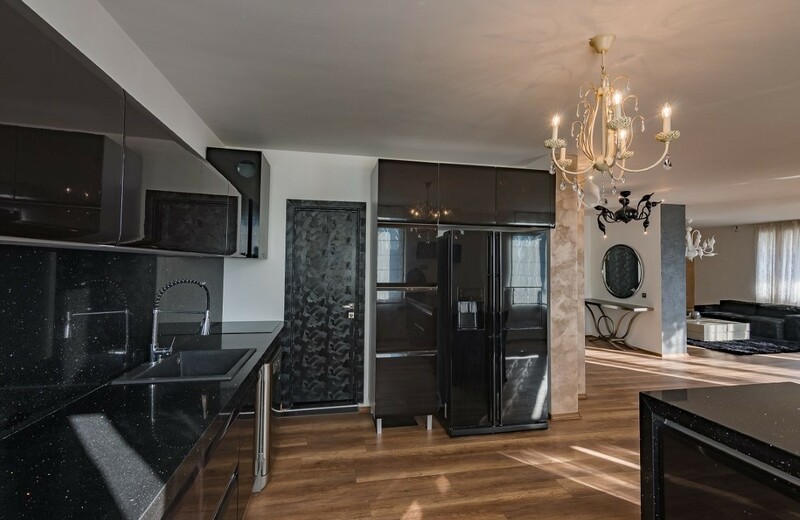 Buyers will have the opportunity to choose between studios, one-bedroom, two-bedroom and multi-bedroom apartments. 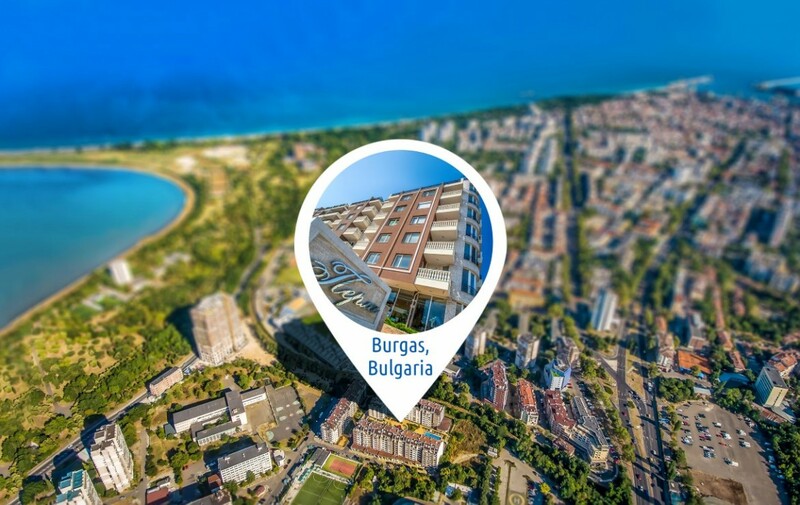 From the higher floors, the new owners will have the opportunity to enjoy panoramic views of the sea, the Bay of Burgas from the east, and from the northeast they will admire Atanassov Lake – the bird paradise, and will be able to watch Via Pontica – the ancient Roman birds’ road. In the lower building will prevail three-bedroom apartments. Please note apartments delivered built, but not internally finished. Finishing is chosen by the customer depending on the quality required at a cost of €100 – €150 per m2.